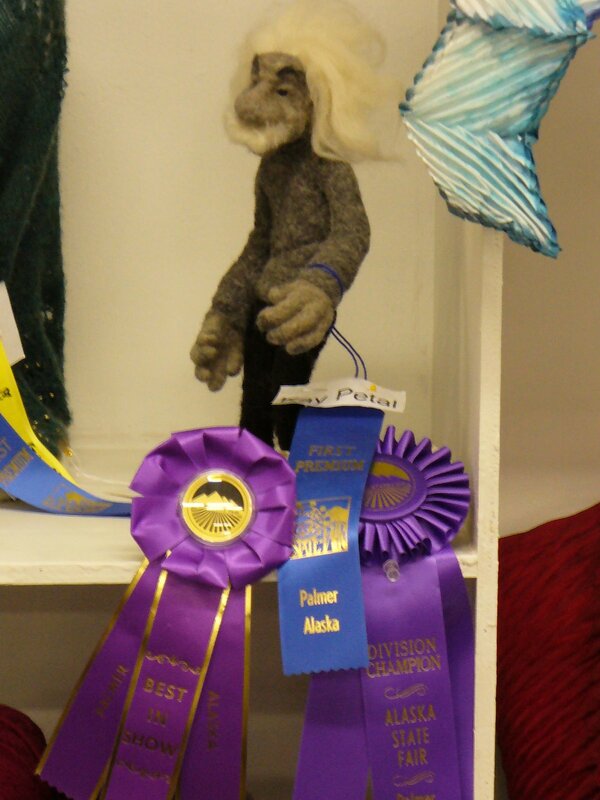 I entered some of my felted creatures into the Alaska State Fair and was pleasantly surprised at how well they did. My little Einstein seemed to be a real favorite. 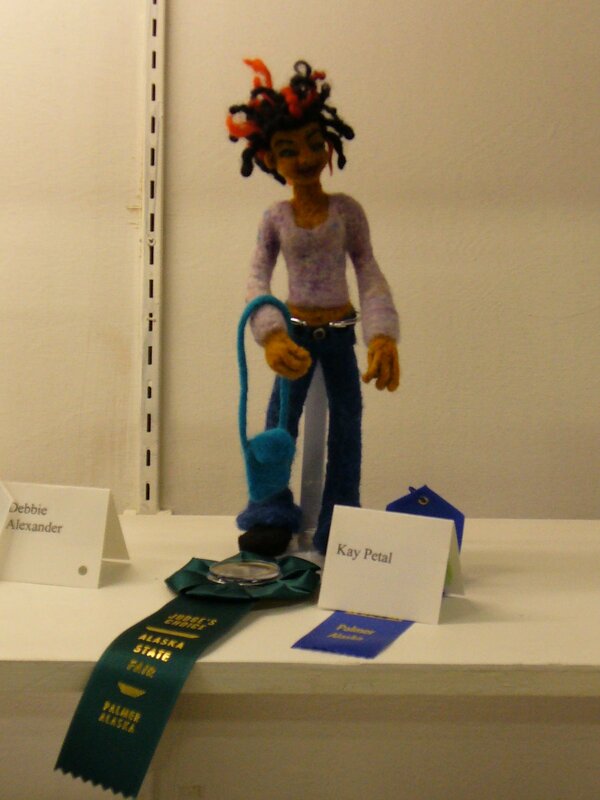 He took first place in the category of Fiber Arts – Needled Felted – Three Dimensional. He also won Division Champion in the Needle Felted Division and the real kicker was that he took Best in Show in the entire Fiber Arts department. There were so many beautiful works of art in this department and here is little Einstein just dripping with ribbons! 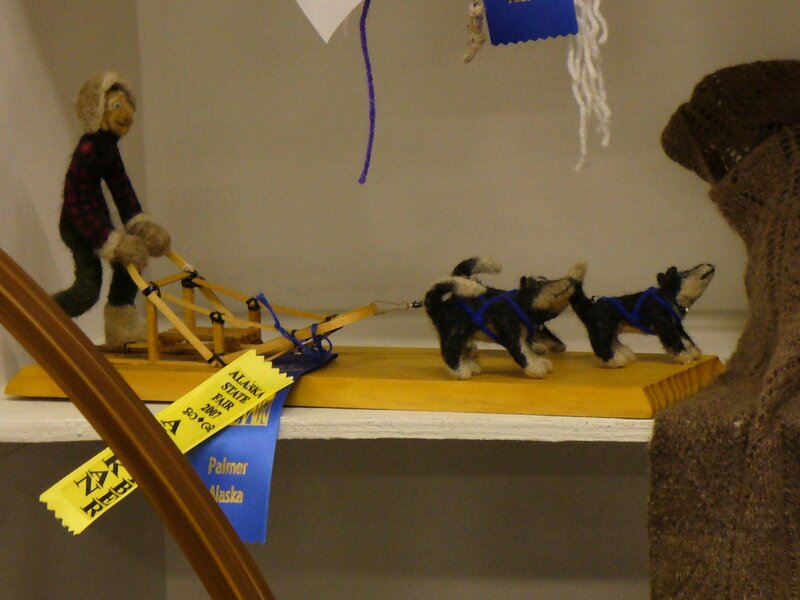 My dog sled team took a first place ribbon in the category of Fiber Arts – Needle Felted – Other. It also won a special recognition from a sponsor – which I believe means a cash prize – not sure yet though! The final prize winner was Skye. I decided to enter Skye outside of the Fiber Arts Department and let her compete in the Arts & Crafts Department in the Dollmaking Division. She won a first place ribbon in the Soft Sculpture Category and also won Judges Choice in the Arts and Crafts Department. Pretty Cool!! I entered a few other pieces but they were eliminated from prize contention as I can only be judged for one piece in each category. All in all – I was thrilled. I got a lot of attention from the local fiber fanatics – my head swelled a little, I think! I was invited to join the local fiber arts guild which I had been meaning to do, but just never got around to it. I was asked to do a needle felting demonstration at the fair- I did that yesterday afternoon and that went very well -I had fun – people seem to be quite intrigued with this craft. 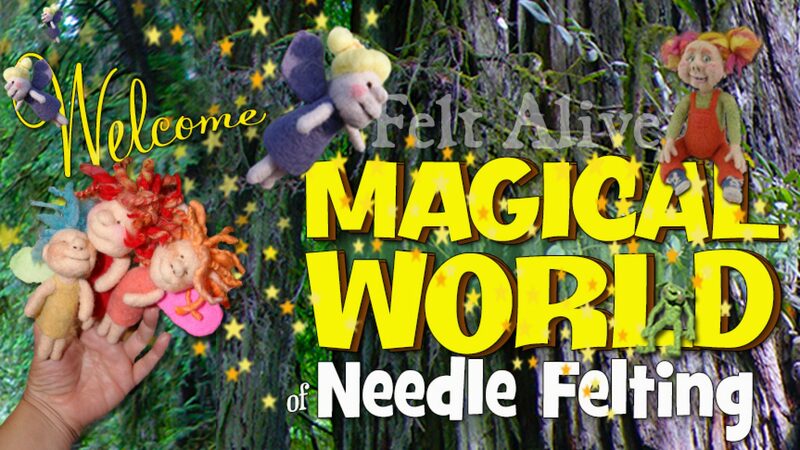 I was also approached to teach a needle felting class at a fiber arts retreat. I will be doing that in April of ’08. The theme is funny faces – it should be fun. ⟵Bjarney The Icelandic Night Troll.